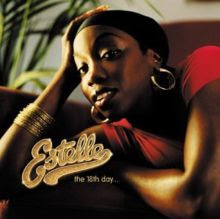 The UK's finest, multiple award-winning artist Estelle is back with 'Shine' - her stunning new album, set for release in February 2008. The first artist signed by US soul sensation John Legend, to his new Homeschool Records label, Estelle's new album features collaborations with Wyclef Jean, will.i.am, Swizz Beats, Mark Ronson and Kanye West, as well as a beautiful duet with John Legend. 'Shine' is a joint venture with Homeschool and Atlantic Records.